What happened when things were hot enough to spontaneously create matter and antimatter? Image credit: NASA / CXC / M.Weiss. One epoch we don’t hear much about is the period of particle/anti-particle annihilation. Was this stuff “matter” in the sense of protons and positrons? And what happened to the neutrons? Or was this some form of condensed energetic QED/QCD state material. How did it form? In the annihilation process were there residuals? How big was the energy release? Where did it go? Most of the coverage on this topic isn’t much more than a hand wave. What’s Wayne talking about? Let’s start with our Universe today, and press the imaginary “rewind” button. Image credit: NASA, ESA, and R. Thompson (Univ. Arizona). Today, the Universe is filled with stars, bound together into great galactic structures and — on even larger scales — into groups, clusters and along intersecting filaments. 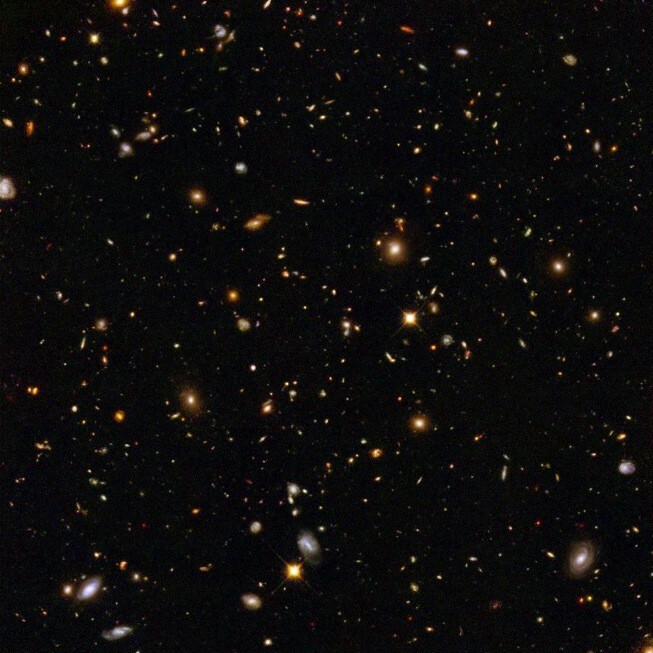 In the portion observable to us alone, there are at least hundreds of billions of these galaxies, strewn out across distances of tens of billions of light years. But how did the Universe get to be this way? It expanded from a denser, more compact, more uniform and hotter state. 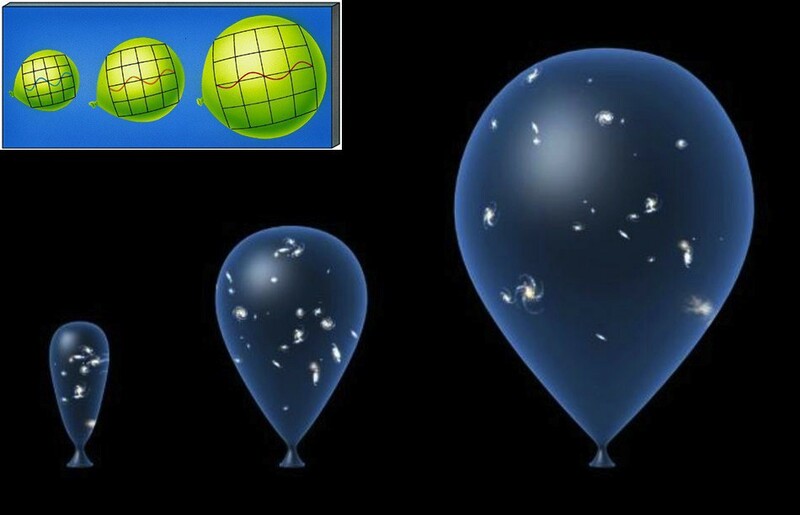 Everything is only so far apart today because of how long the Universe has been expanding. Image credit: Take 27 LTD / Science Photo Library (main); Chaisson & McMillan (inset). If we extrapolate backwards, one of the things that’s relatively unimportant today — the temperature of the Universe, just 2.7 K above absolute zero — becomes more and more relevant. 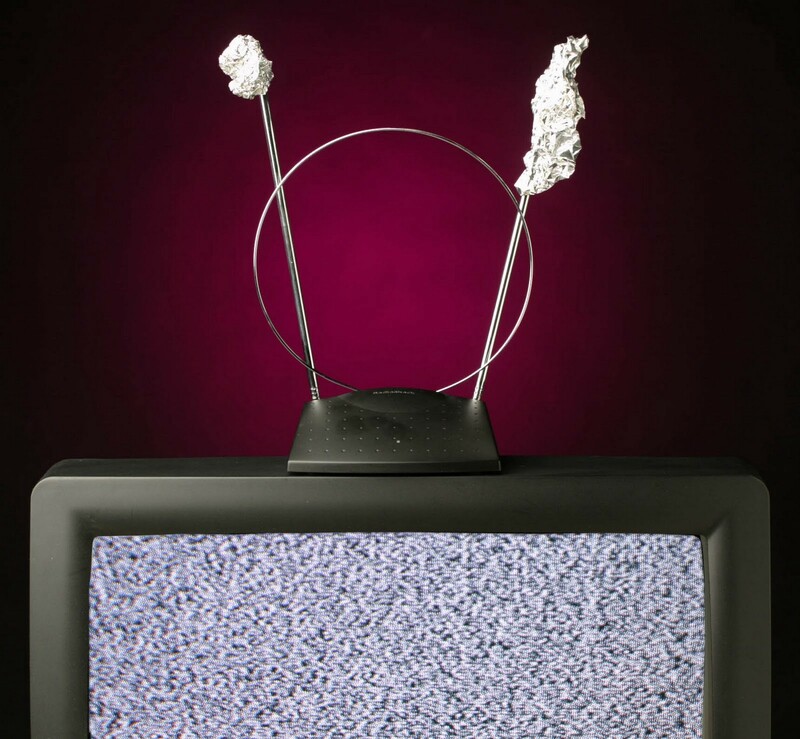 At diffuse densities and low energies, these leftover photons don’t do very much, other than cause a small amount of “snowy pixels” on your television’s channel 3 if you’re still using rabbit-ear antennae. Image credit: Engadget, via http://www.engadget.com/2011/12/23/primed-ports-connectors-and-the-future-of-your-tvs-backs/. About 1% of that “snow” is from the cosmic microwave background. But when the Universe was younger and smaller, these photons were not only denser, since the Universe had a smaller volume, but hotter, since the wavelength of a photon determines its energy. If we extrapolate backwards, this microwave radiation becomes infrared, the temperature rises from the single digits above absolute zero to double digits, triple and eventually past room temperature, the boiling point of water and to temperatures rivaling that of a burning star. Eventually, things became so hot that not even neutral atoms could form, as the very electrons that form stable atoms would be “kicked out” of them by the sea of photons. Image credit: Pearson / Addison Wesley, retrieved from Jill Bechtold. But go back even farther, and we arrive at a time where atomic nuclei cannot form, since they’ll be blasted apart into individual protons and neutrons. And — taking all of this to its logical conclusion — we can go back to extraordinarily early times, when the Universe was under a second old, to when the photons were so energetic that matter and antimatter could be spontaneously created in equal amounts. Before the Universe expanded and cooled through this phase, the Universe was nothing more than a primordial “soup” of matter, antimatter and radiation, where the spontaneous annihilation of matter-and-antimatter into pure energy was balanced by the spontaneous creation of matter-and-antimatter from pure energy. Einstein’s most famous equation, E=mc^2, works both ways. Image credit: RHIC collaboration, Brookhaven, viahttp://www.bnl.gov/newsroom/news.php?a=11403. The higher your energy, the heavier the pairs of particles are that you can spontaneously create. If we go back to early enough times — when the average energies of the Universe were high enough to create pairs of top-antitop quarks (the heaviest known particle) — we find that there were far fewer photons around at that time than there are today! 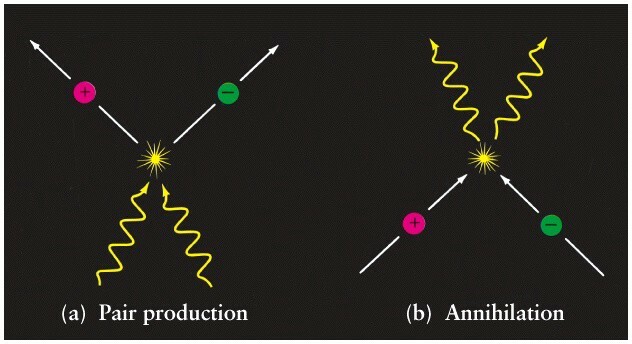 Because just as a particle-antiparticle pair can annihilate to form two photons today, at high enough energies, two photons can interact to form particle-antiparticle pairs! Image credit: Dmitri Pogosyan, via http://www.ualberta.ca/~pogosyan/teaching/ASTRO_122/lect32/lecture32.html. 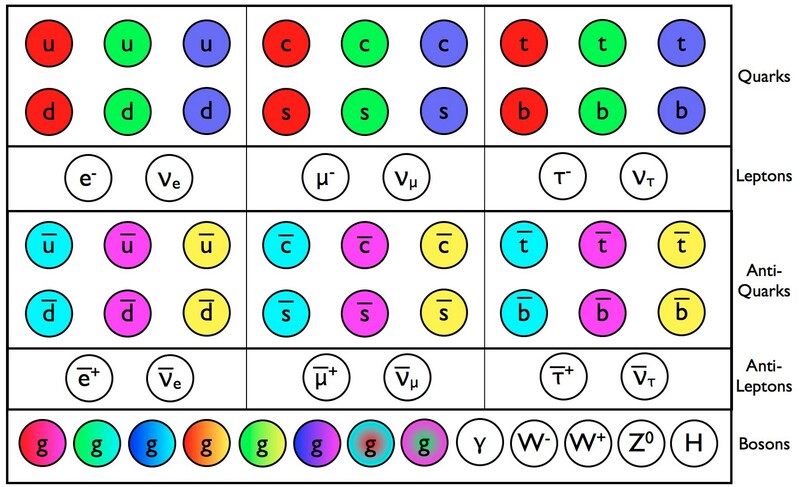 So while there are a certain number of photons around today, think about every single fundamental particle in the standard model, both the massive ones and the massless ones. All six quarks and antiquarks, each coming in three different colors, the three charged leptons and three neutrinos, along with their antiparticle counterparts, the eight gluons, the three weak bosons, the photon and the Higgs, coming in all the spin configurations they’re allowed. Instead of just photons, this energy gets distributed among all these species of particles equally. (Well, in accordance with the Maxwell-Boltzmann energy distribution and the appropriate statistics: Fermi-Dirac statistics for the fermions, Bose-Einstein statistics for the bosons.) When the energies are high enough and the temperatures are hot enough, particle/antiparticle annihilations still happen all the time, but they happen at the same rate as particle/antiparticle creation. 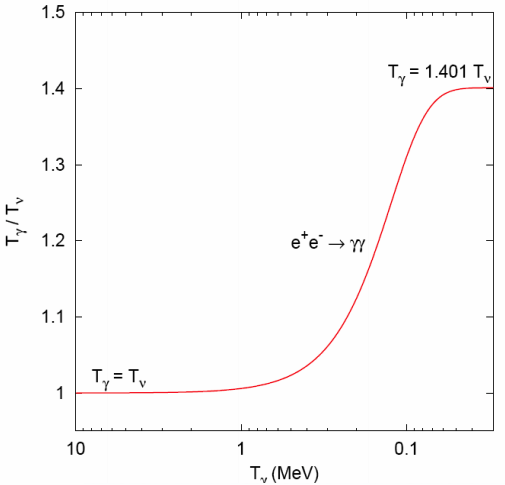 As the Universe expands and cools, however, the annihilation rate drops some, as it becomes more difficult for each particle to find their antiparticle counterpart, but the creation rate drops tremendously, as once the mean energy drops below the particle/antiparticle creation threshold, the creation rate begins to get exponentially suppressed. Image credit: how the abundance of any unstable species drops as the temperature/energy of its surroundings drops below the mass-creation threshold. 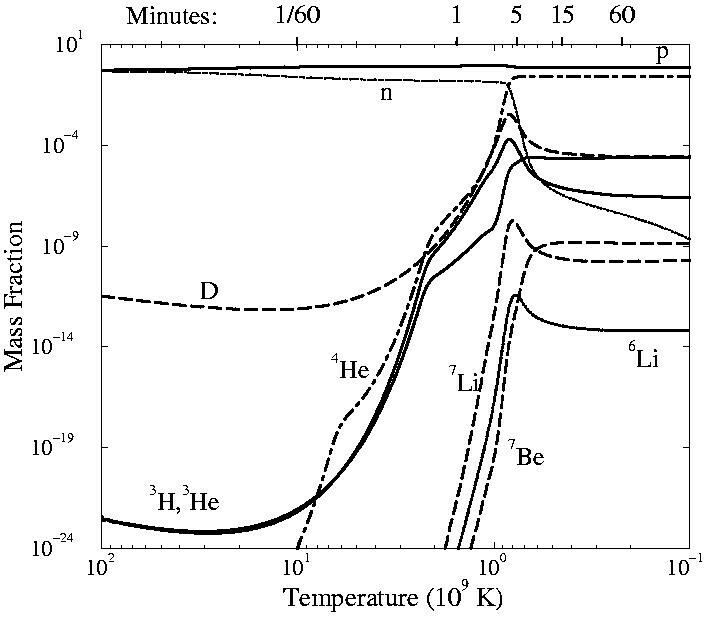 By J. Cleymans, H. Oeschler, K. Redlich, and S. Wheaton of Phys. Rev. C 73, 034905. Top/antitop pair creation ceases; the remainder annihilate and/or decay. Higgs/higgs pair creation ceases; the remainder annihilate and/or decay. This (roughly) coincides with the breaking of electroweak symmetry. Z_0 spontaneous creation ceases; the remainder (mostly) decay. W+/W- pair creation ceases; the remainder (mostly) decay. Bottom/antibottom, tau/antitau, and then charm/anticharm pairs stop being created; leftovers either annihilate and/or decay. In all of these cases, the annihilation (or decay) of the higher-mass species goes into heating up all the other species that are left. Then something interesting happens: before the Universe can cool through the next threshold, to stop the production of strange/antistrange quarks, it gets sparse-and-cool enough so that we go from having a quark/gluon plasma to having individual baryons (combinations of three quarks), antibaryons (combinations of three antiquarks) and mesons (combinations of quarks-and-antiquarks). This is where “confinement” first occurs. 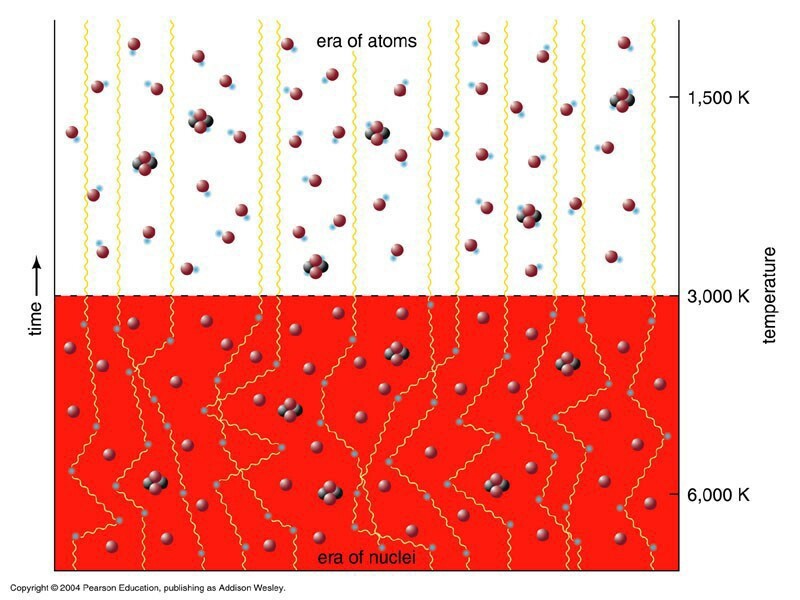 Image credit: Virtual Institute for Dense Hadronic Matter and QCD Phase Transitions, via http://solid13.tphys.physik.uni-tuebingen.de/faessler/Fuchs/VI/hadro.html. muon/antimuon creation stops and annihilation/decay occurs. At this point, all that we have left in the Universe, now, is the small number of leftover protons-and-neutrons, electron/positron pairs in huge numbers, neutrino/antineutrino pairs in huge numbers, and photons in huge numbers. 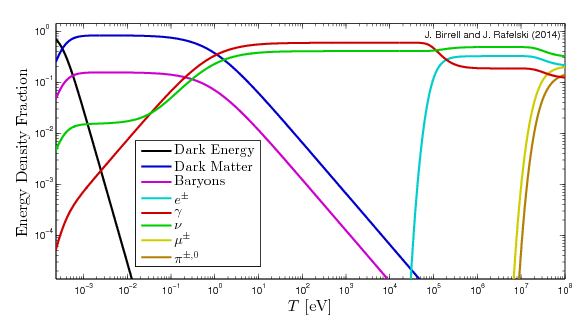 Well, that, and whatever dark matter (that’s always been around) that we assume doesn’t couple to these other particles. You might think that electron/positron annihilation comes next, but two other things happen first. Image credit: Lawrence Berkeley Labs, via http://aether.lbl.gov/www/tour/elements/early/early_a.html. First, the protons and neutrons are playing a game: protons are trying to combine with electrons to form neutrons and neutrinos, while neutrons and neutrinos attempt to go the other way, producing protons and electrons. (You can also get protons and antineutrinos combining to form neutrons and positrons, as well as the reverse reaction.) For a few milliseconds — which is really a relatively long time in this story — these reactions proceed at the same rate. But as the energy drops and the temperature cools, the small mass difference between the proton and the neutron starts to matter, and it becomes easier for the reactions that create protons from neutrons to proceed than it is for the ones that create neutrons from protons. By time the Universe is about a full second old, it’s gone from having a 50/50 ratio of protons-to-neutrons to a ratio that’s closer to 85/15, in favor of protons. Image credit: Ned Wright’s cosmology tutorial. In particular, focus on the upper left, where protons and neutrons existed in equal abundance, but protons came to dominate neutrons thanks to the strength of the neutron-to-proton reactions and the weakness of the proton-to-neutron reactions. Then, the weak interactions — the interactions that allow neutrinos to exchange energy with all the other types of particles and that allow this proton/neutron interconversion to happen — freeze out. This means that the interaction rate, energy and cross-section becomes too low for neutrinos and antineutrinos to participate in whatever’s going on in the cosmos. Up until now, electrons/positrons, neutrinos/antineutrinos, and photons have all been getting their proportional share of energy from their annihilations. But when neutrinos (and antineutrinos) freeze out, they no longer participate in this game. Image credit: Jeremiah Birrell, Ph.D. Dissertation, of arXiv:1409.4500 [nucl-th], via http://inspirehep.net/record/1317200. So when that final annihilation phase occurs, when the Universe cools so much that electron/positron pairs can no longer be created and they simply annihilate away (leaving enough electrons behind to balance out the electric charge of the protons), they dump all of their energy into photons, and none into neutrinos-and-antineutrinos. This is why the cosmic microwave background — the background of photons left over from the Big Bang — is measured to be at a temperature of 2.725 K, but the cosmic neutrino background — the background of neutrinos that must be left over as well — is only expected to come in around 1.95 K, or specifically at (4/11)^(1/3) the photon temperature. 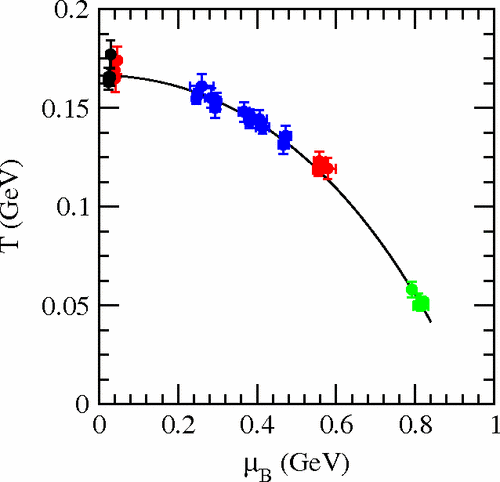 Image credit: Gianpiero Mangano, via http://viavca.in2p3.fr/presentations/relic_neutrino_background_properties_and_detection_perspectives.pdf. This is also why — after another three minutes and change — a fraction of the leftover neutrons have decayed, giving rise to a (roughly) 87.6/12.4 proton-to-neutron ratio. 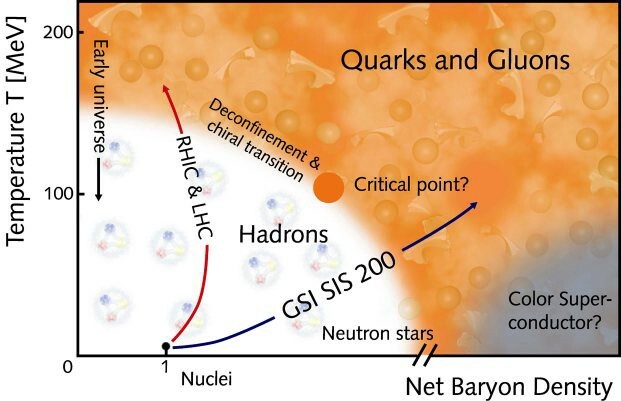 At this stage, finally the photons have cooled enough that the formation of the first heavy elements can proceed through Big Bang nucleosynthesis. 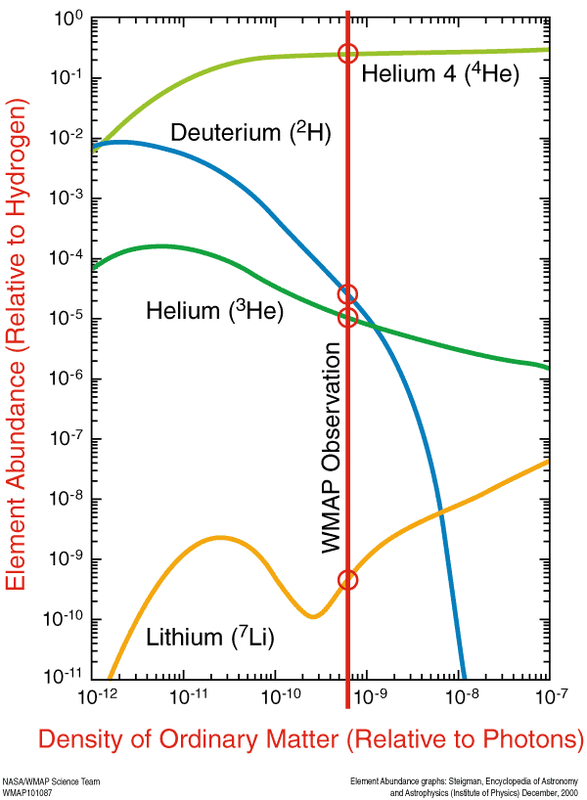 This is why we wind up with the original hydrogen/helium ratio we create shortly after the Big Bang: because of the role played by all of these particles in the early Universe. Image credit: NASA, WMAP Science Team and Gary Steigman. Someday, soon, I hope to be able to report to you the detection of the cosmic neutrino background for the first time; it was announced to have been discovered at the AAS meeting last month, but no paper has yet come out about it. (I’ll keep looking!) This is as much detail as I think I can give (there is still some hand-waving) without actually turning you into a theoretical physicist, so I hope this was well-enough balanced to sate your needs. In the meantime, this is the best version of the entire story we have of all the known particles in the Universe and how they behave during the earliest stages of the hot Big Bang, all the way through freeze-out, annihilation and decay. Thanks for an incredible question and for allowing us to take an epic journey, Wayne, and to anyone else who has an Ask Ethan question or suggestion, send them in! The next column could be all yours.